You may have decided you need to add a credential to your resume, or you might be thinking that a college degree could boost your career. The research would back you up. Statistics show that earnings consistently increase with level of education. On average, workers over 25 years old with bachelor’s degrees earn an astonishing 70% more than their counterparts with high school diplomas. In addition, people are turning to certificate programs to boost their earnings, add new credentials to their resumes and improve their career prospects. Professional development programs and courses also provide an excellent way to retool for a job change. “Certificates are a homegrown American invention and are expanding rapidly in response to a wide range of educational and labor market demands,” reported researchers at Georgetown University. A major finding of their study is that the postsecondary certificate has become a cost-effective tool for increasing educational attainment and gainful employment in the U.S. If it’s been awhile since you were in school, you may be wondering if college is still right for you. Some prospective returning students feel unsure whether they could be successful in college-level coursework after being away from a classroom environment for a period of time. But once they’ve started, students report finding a renewed commitment for success. “In college this time around, I’m focused,” said one student. “I found that my studying techniques and time management skills were much improved from when I was a younger student,” reported another. Most colleges and universities have a continuing education department that will help returning students choose a program that fits their educational goals and help guide them through enrollment processes. For those considering a return to college, whether for a degree, certificate program or other course, the University of Delaware’s ACCESS Center provides free academic advisement to help identify career and educational goals, develop educational plans, implement decisions and build learning skills. 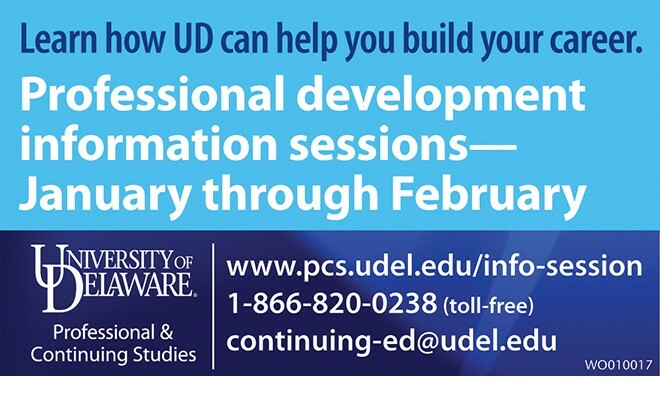 To learn more about continuing education programs at the University of Delaware, visit www.pcs.udel.edu. To make an appointment with an ACCESS adviser, call 302-831-8843, write to access-advise@udel.edu or visit www.pcs.udel.edu/access. Next Story → What Can Tutoring Do For Your Child?